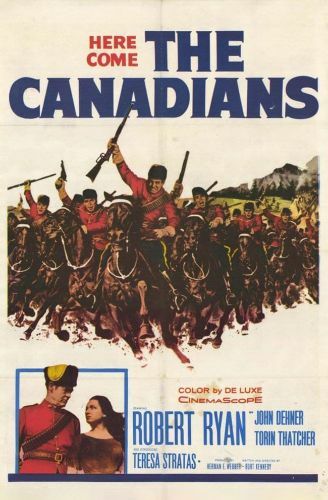 In the late nineteenth century, Inspector Gannon (Robert Ryan) is a member of the Northwest Mounted Police (forerunners of the Royal Canadian Mounted Police) sent to give a message to the leaders of the Sioux Indian nation. Chased by the U.S. cavalry, the Indians have entered Canada in the wake of the Custer massacre at Little Bighorn. Gannon and his crew assure the Indians there will be no trouble as long as they remain peaceful. American ranchers stage a raid across the border under the guise of rescuing a caucasian woman and kill many Indians. This leads to an inevitable uprising that Gannon must control.